Today, after eating a hearty, home cooked lunch prepared by my mom. I walked to the office Kitchen to get a glass of water and something caught my attention. It was a colorful box with a little sticky note lying quietly on the kitchen counter. When I went closer, this is what I found. A “treat” not only for the mouth but for the eyes as well. 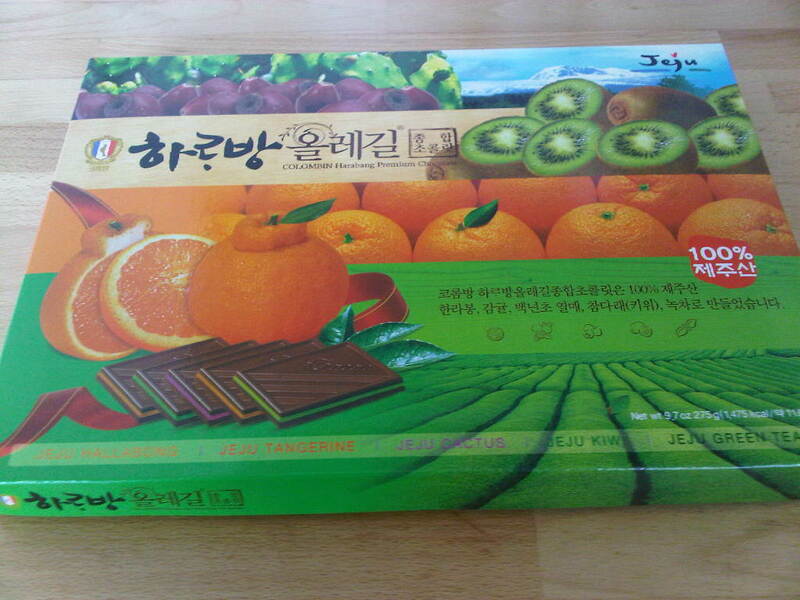 Assorted collection of Jeju Chocolates. “Jeju” is name of a volcanic island south of Korea and is also called the “Hawaii of Korea”. This is where these amazing chocolates are made. 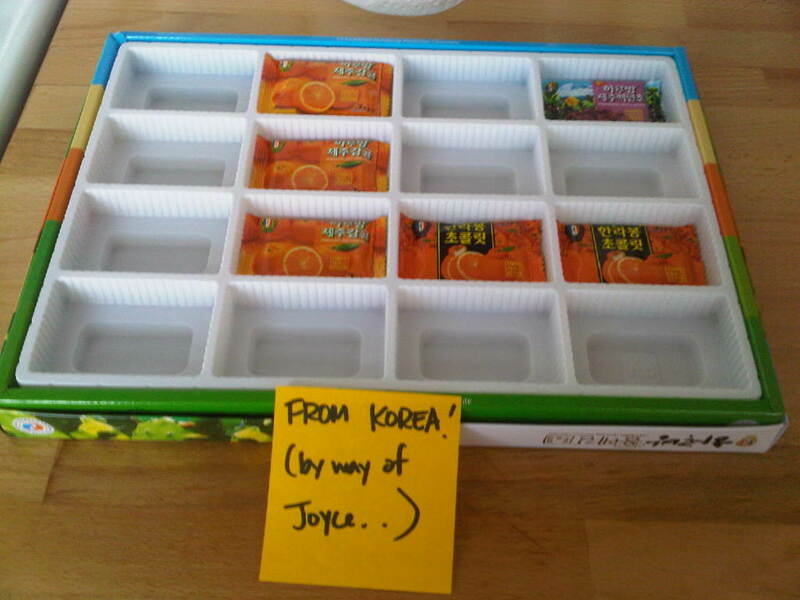 It was a gift from our sweet Joyce who had just returned from her vacation to Korea. 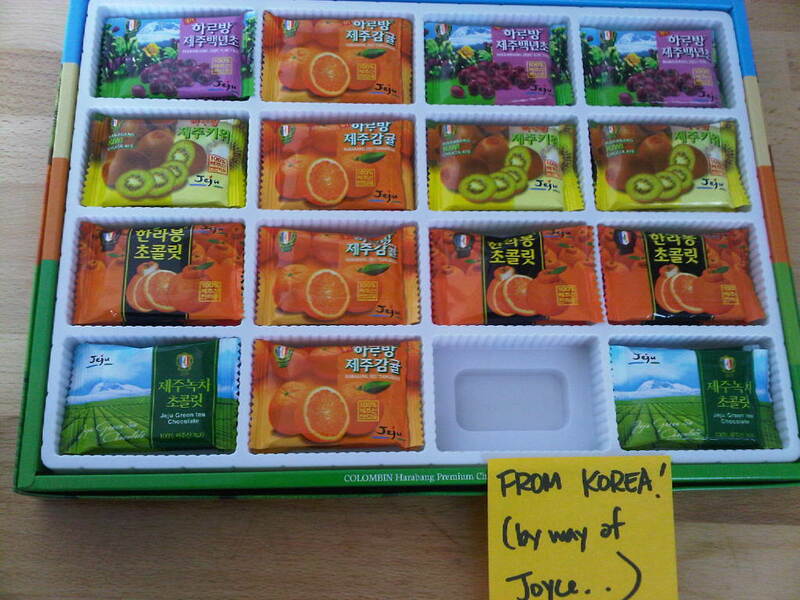 Jeju Green Tea, Jeju Cactus, Jeju Tangerine, Jeju Kiwi Chocolate… they were all looking so pretty. Ofcourse, when it comes to chocholate, I am always ahead of the herd( well.. thats what I thought) until, I saw my manager take the first pick. (Fair enough.) 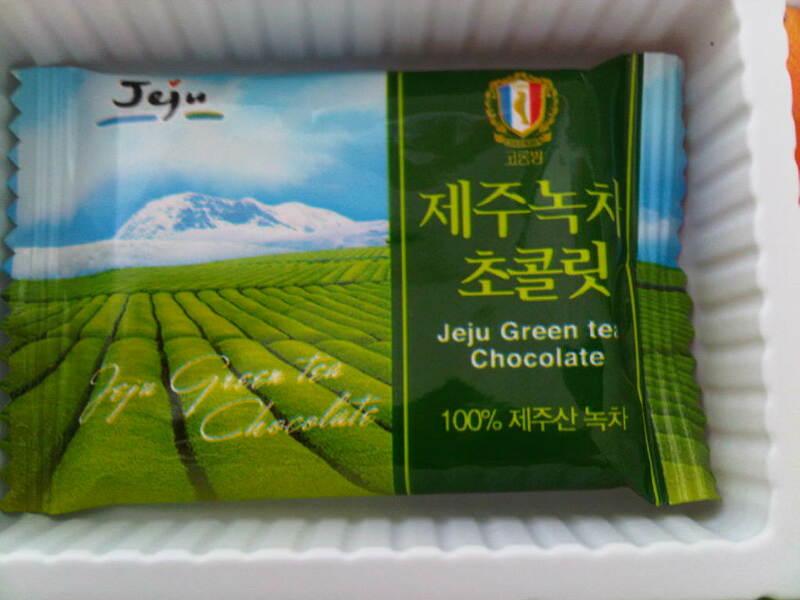 My first pick was t he “Jeju Green Tea chocholate.” I was proud of my pick coz, it was one of the best chocolate I have ever tasted. 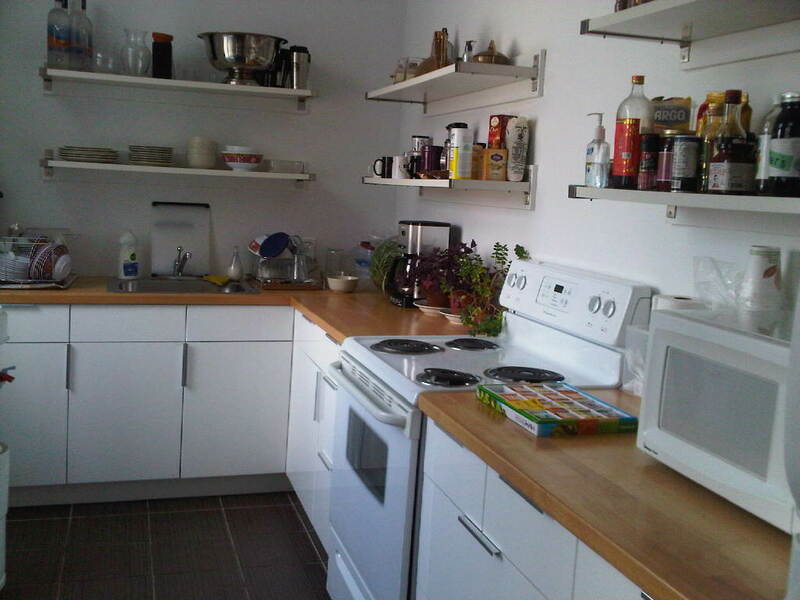 I walked back to the kitchen again around 4p.m to check on my new found friend Jeju. After all, she came all the way from Korea just for us. (Do you remember your first day at work and how you felt like a total stranger? I didn’t want Jeju to feel the same. ). This is how she looked when I saw her at 4 p.m.
Sure enough, they did. This is how she looked when I went back to check on her at 7 p.m before I headed home. I was glad to see that, “Jeju” had found a place in everyone’s heart(& stomach) and made their day. 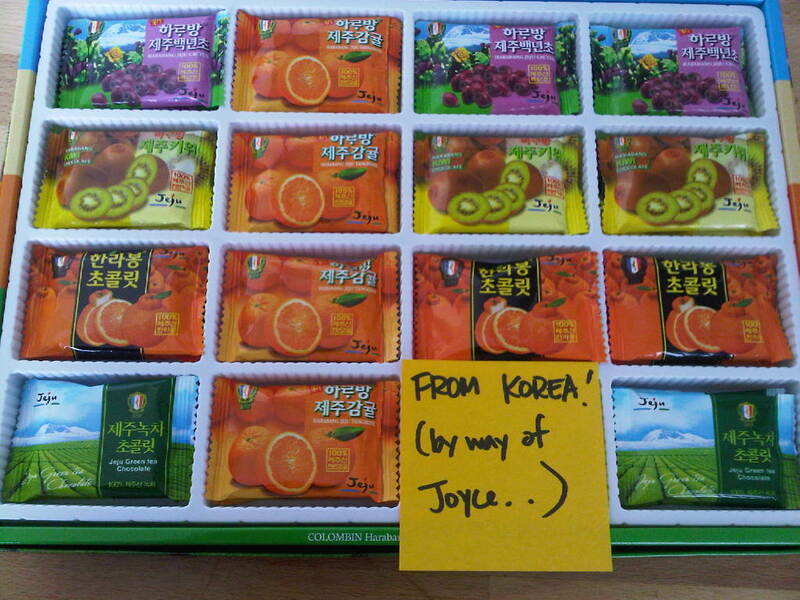 A special thanks to my collegue Joyce for the gift and for introducing us to “Jeju” Chocolates. We love you both. ← Candid Picture you don’t want to miss!!! We miss eating your delicious pies.. As always I am the first to attack the humble pie when it makes it to our office kitchen.